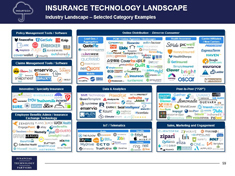 FT Partners is pleased to provide our clients and industry executives with our latest industry research report covering the dynamic InsurTech sector. 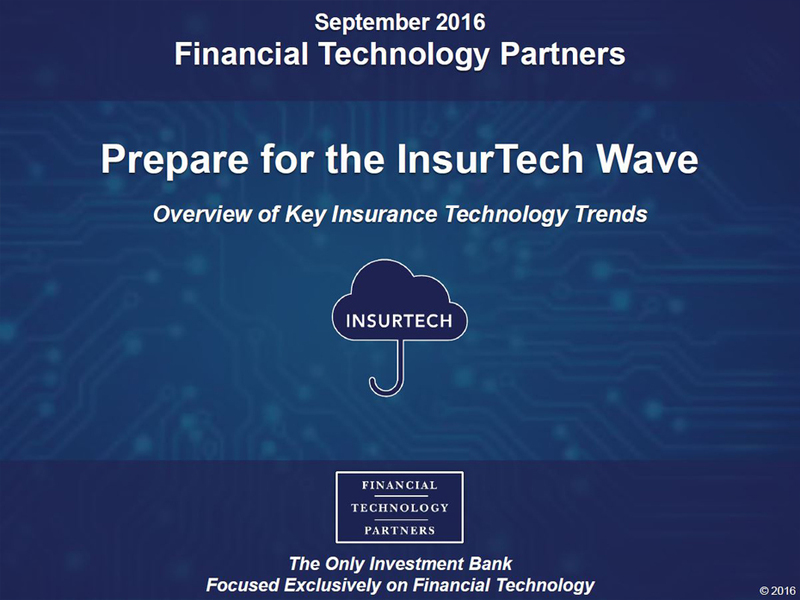 Our latest report "Prepare for the InsurTech Wave: Overview of Key Insurance Technology Trends" is an in-depth look at the major waves of innovation and disruption that are beginning to radically alter the insurance industry. 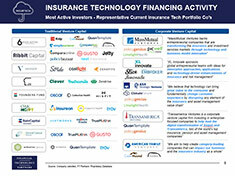 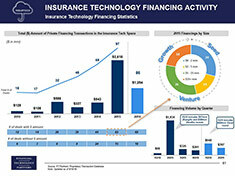 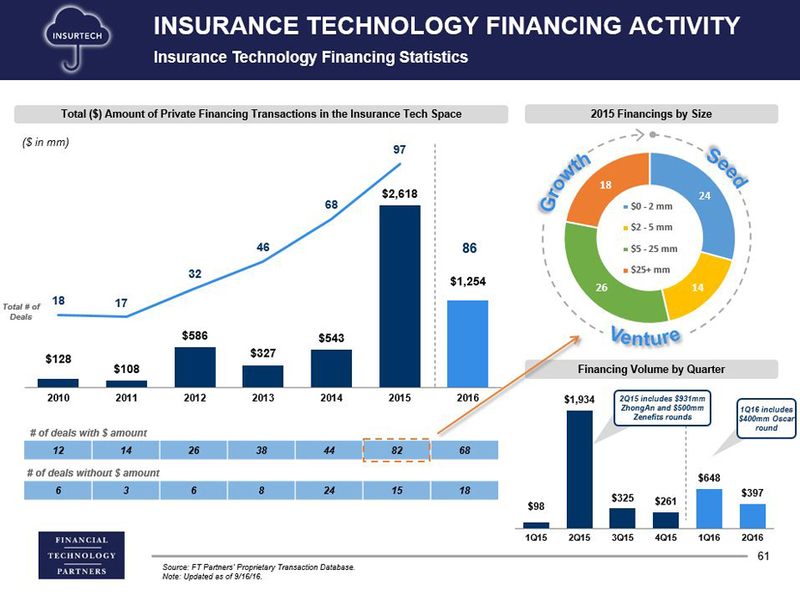 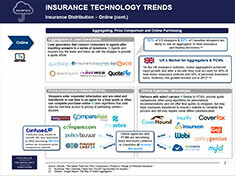 Insurance is widely viewed as the next great opportunity for players in FinTech. 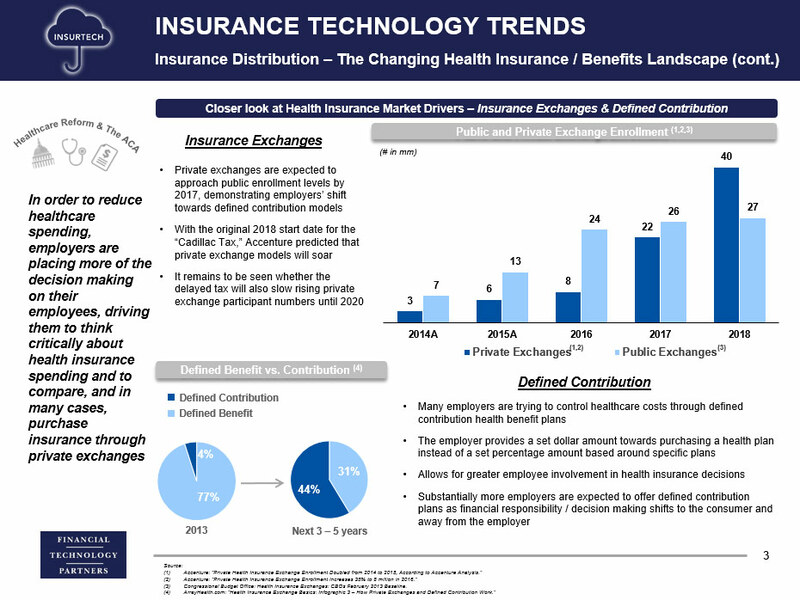 Unlike many other areas of financial services, the insurance industry to-date has not been substantially disrupted by new technology and game-changing business models. 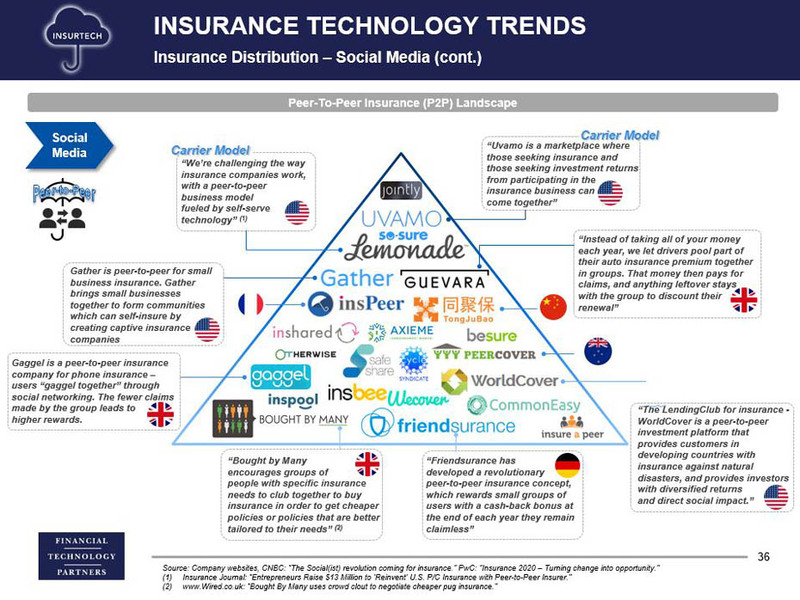 However, the industry now appears to be at a key inflection point as many different constituents in the FinTech ecosystem have their sights squarely set on insurance. 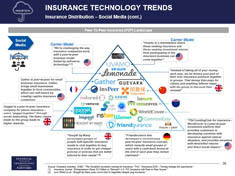 To this end, FT Partners is seeing a proliferation of InsurTech startups targeting all areas of the multi-trillion dollar global industry and subsequently an influx of private equity, venture capital and strategic interest in the space. 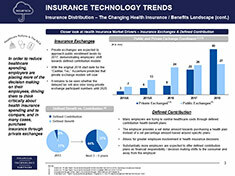 creating entirely new insurance carriers and distribution models. 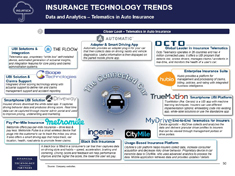 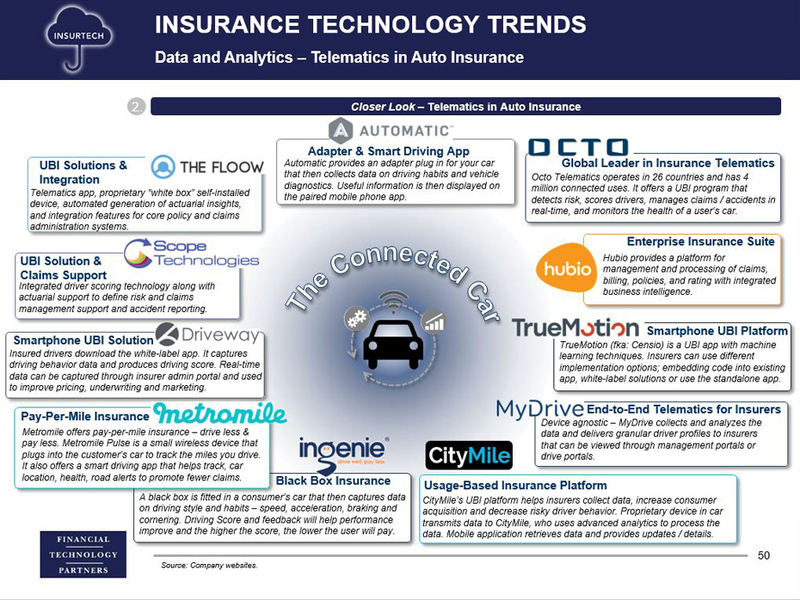 Greater utilization of Big Data, IoT, Telematics and the advent of the "Connected Car, Home and Self"
The InsurTech ecosystem is rapidly growing and evolving. 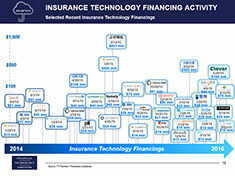 It is already comprised of hundreds of companies that each have their own unique approach to disrupt the space. 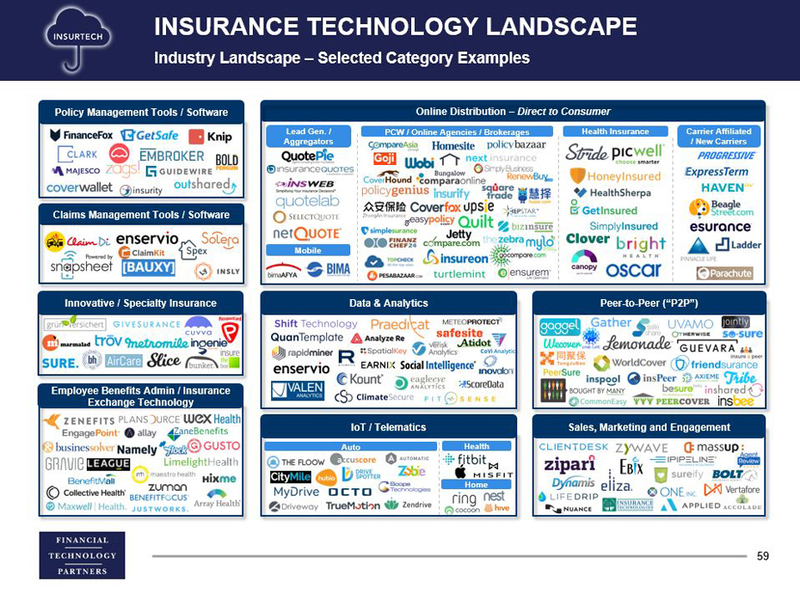 Our industry landscape highlights numerous verticals and areas of focus, visually depicting the complexity and scale of the InsurTech space. 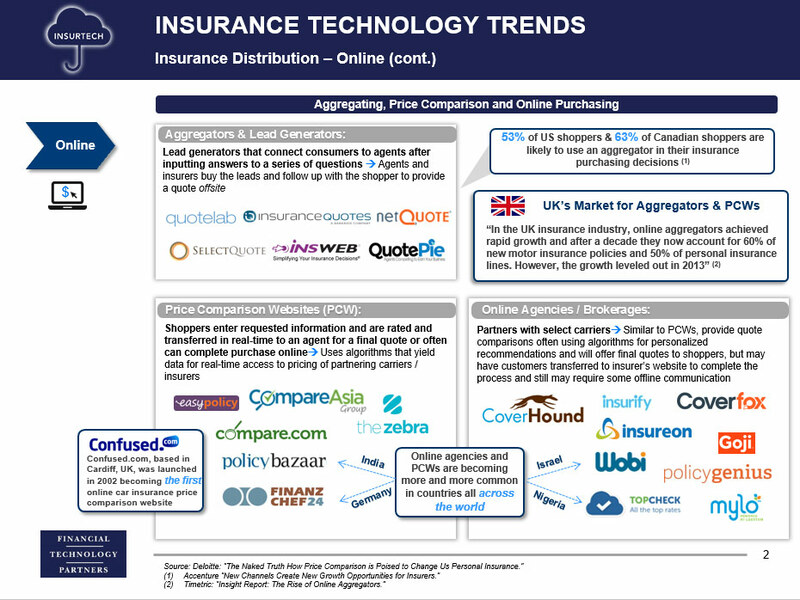 The report includes detailed profiles of key InsurTech disruptors as well as both public and private established tech-enabled companies. 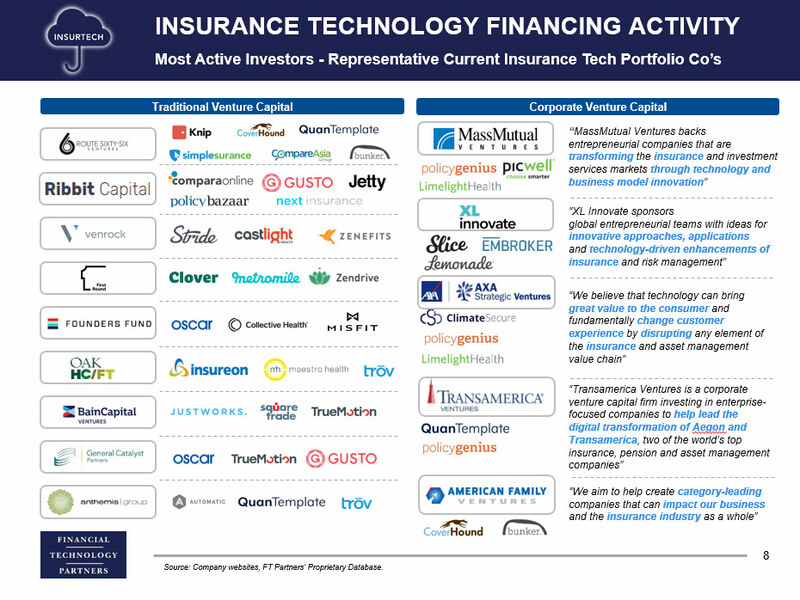 Financial Technology Partners ("FT Partners") is the only investment banking firm focused exclusively on providing top-tier strategic and financial advisory services to FinTech CEOs, founders and investors. 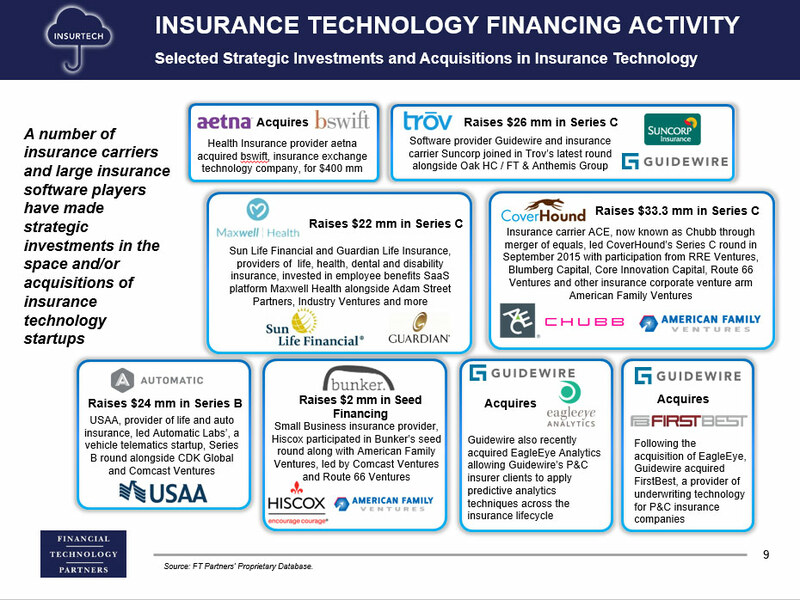 The Firm offers CEOs and investors a wide array of strategic advisory services in mission-critical transactions including M&A, IPOs, LBOs, recapitalizations and private capital raises. 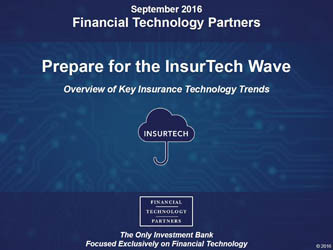 FT Partners has been awarded Investment Bank of the Year 4 times since 2004, most recently in 2016. 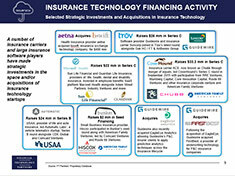 The Firm has also been awarded Dealmaker of the Year and presented with numerous awards for its transactions. 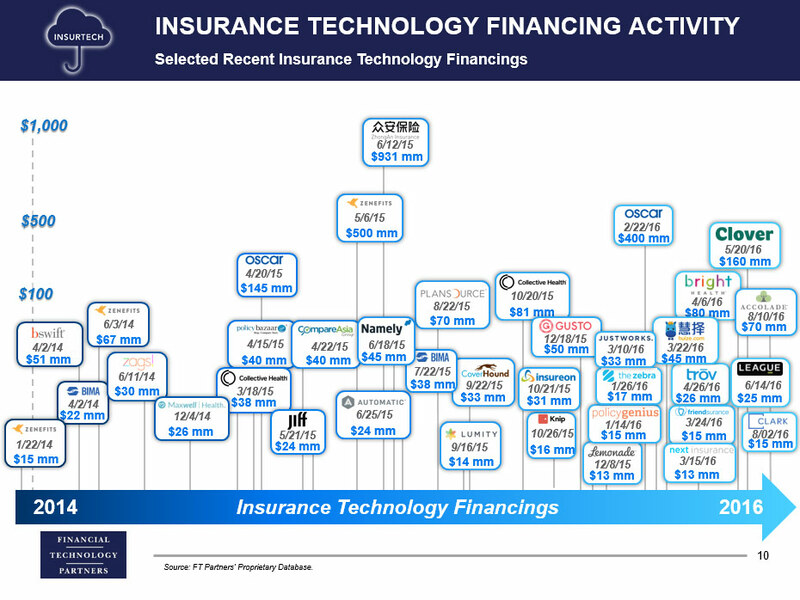 The founder and CEO, Steve McLaughlin, was recently ranked one of the top FinTech bankers in Silicon Valley by The Information and as one of the most influential people in all of FinTech by Institutional Investor.